Most foreclosures are through Non-Judicial Foreclosures because it is less time consuming and costs less. Once you have fallen behind on your mortgage, you are considered in default. Once in default, the mortgage lender can send you out a Notice of Pre-foreclosure Option letter. This is very important. This Notice of Pre-Foreclosure Option Letter is the start of the foreclosure process. Pre-foreclosure options provide a homeowner with information about their rights during foreclosure such as the right to a meeting, mediation, and toll free numbers for housing counselors. If you have already received one of these letters, it’s important to consult with an experienced foreclosure attorney who also understands your Washington State bankruptcy options. Once this letter is received, you have 30 days to request a meeting and confer with their beneficiary. If a meeting is requested, the beneficiary must schedule the meeting before the notice of default can be issued and may not issue the notice of default until 90 days after the NOPFO was sent to the homeowner. This meeting is held in person in the county where the homeowner lives. This meeting request should be in writing, and it is always best to send this request via certified mail. Regardless of what you are thinking or hoping to do with regards to you home, it is almost always best to respond because it will push the process out 60 more days. Once you respond, the bank will try to reach a resolution with you. Please note a resolution does not have to be reached. If no resolution is reached, the notice of default can be issued 90 days from the Notice of pre-foreclosure letter. Failure to respond means the mortgage lender can issue the notice of default 30 days after the notice of pre-foreclosure option is issued. Once the notice of default is issued, a home owner can be referred to foreclosure mediation. This is where our Washington State foreclosure mediation lawyers can really be of assistance. Foreclosure mediation is a meeting with a representative from your mortgage lender in front of a mediator. This is a time to try to come to an agreement, such as a loan modification. A homeowner can be referred to foreclosure mediation through an attorney or through a housing counselor. The Mediation fee is $400, $200 of which will be paid by the homeowner. Once referred to foreclosure mediation the foreclosure process is put on hold until the foreclosure mediation occurs. A homeowner can be referred to foreclosure mediation up until the 20th day following the notice of trustee sale being recorded. So, time is of the essence. If your case is referred prior to the notice of trustee sale being recording, then this precludes the notice of trustee sale from moving forward until the foreclosure mediation takes place. If a homeowner is not referred to foreclosure mediation, then the foreclosure sale can take place 120 days after the notice of trustee sale is recorded. After the foreclosure date, a homeowner has 20 days to move out of the home. 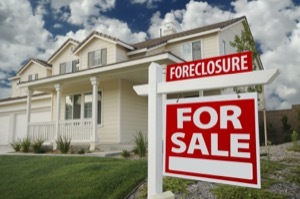 Who can be referred to foreclosure mediation? Only a person with a legal right to an occupied piece of residential real property is entitled to request and be referred to foreclosure mediation. This means no commercial loans or seller-financed sales and be referred. A person with a legal right can be a spouse, an ex-spouse, or a child to name a few. Some institutes are exempt from the foreclosure mediation process. Any federally insurance depository institute who conducts less than 250 foreclosures per year and Home Owner Associations are exempt from foreclosure mediation. Even if you were denied a loan modification, you can still be referred to foreclosure mediation. People have been approved for loan modifications during foreclosure mediation even after they were previously denied for loan modification. Why Should I try Foreclosure Mediation? Several studies have concluded that mediation programs work. Indeed, for many Washington residents facing foreclosure, it may be the single most effective tool to assist available. Our mediation foreclosure lawyers have helped homeowners throughout Western Washington get relief from foreclosure. At a minimum, foreclosure mediation increases a homeowner’s bargaining power and forces beneficiaries to be more transparent, accurate and accountable. Foreclosure mediation allows a homeowner to address issues with the mortgage company without the runaround.